Full-time RVer mostly in SouthWestern U.S. 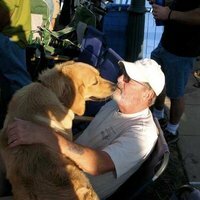 I travel with my golden retriever, Duffy, exploring and experience this great country of ours. I have spent winters in Tucson, AZ and Summers in Truckee, CA and stayed an entire year in Windsor, CA. I like to hike and take photographs and enjoy reading. I sporadically maintain a blog at http://www.don-peterson.com/roadrunner. Canyon de Chelly, Mogollon Rim, Rte 288 along the road to Young, AZ. 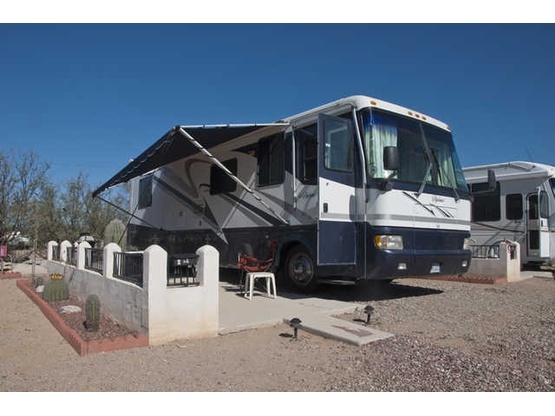 I have a 1998 Monaco Diplomat Class A motor home with a "tiny" 5.9 Liter Cummins diesel in the rear. It has given me many problems over the few years I have owned it which I tackle as they come up. Because of its troublesome demeanor I have come to call it "The Joker," a not-so-affectionate moniker. I have a Mazda MX 3 in tow which runs pretty well, considering it has over 100,000 miles on it. It's good on gas but a bit cramped for me and Duffy. I had planned to use it for quick runs to the grocery store but find I use it for much more and have pushed it over some rocky, bumpy roads that only a FWD should attempt. I somewhat affectionately named it "Old Blue."